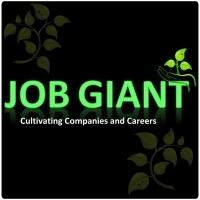 Job Giant specializes in the recruitment of talented staff and personnel across all fields. Whether you are looking to grow your company by filling vacancies, seek employment or make a complete career change, Job Giant will work towards finding the best solution to your recruitment needs. We cultivate companies and careers through developing specific recruitment and interview strategies. With a personalized approach our aim is to provide excellent levels of customer service and satisfaction to both the employer and employee. At Job Giant we not only offer our customers competitive rates, but will also ensure that we have the full 360 degrees regarding you and your companys staffing needs. Our customer service orientated approach not only entails regular follow up and contact with you, but also with your newly appointed staff member. Listing 4 jobs posted within 120 days!